The Mahopac High boys’ basketball team split two non-league games in the Matshtik Tournament held at Mahopac High School on Friday night and Saturday. 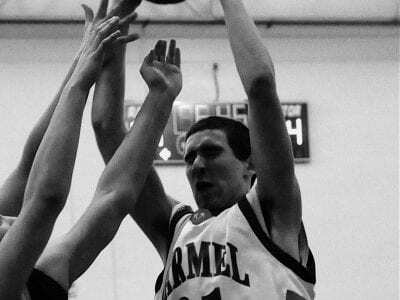 The Indians lost a non-league game to Lakeland on Saturday 77-68 after defeating Roy C. K… Please login below or purchase a subscription to the Putnam County Courier to access this content. The Mahopac High ice hockey team traveled up to the Albany area last weekend and played two out-of-conference games on Saturday night and Sunday afternoon. The team played to a 3-3 tie with Guilderland Sunday at Union College and lost to Shaker C… Please login below or purchase a subscription to the Putnam County Courier to access this content. PUTNAM VALLEY—The Putnam Valley high boys basketball team lost to Ossining 74-53 on Monday, and lost 69-61 on Saturday to Dover. Thursday Put Valley hosted Clark Academy and picked up a 54-42 win. The Tigers lost another tough league game to… Please login below or purchase a subscription to the Putnam County Courier to access this content. Mahopac’s Andy Scopino was a champion at the Super 16 tournament. MAHOPAC—The Mahopac High wrestling team was feeling pretty good last weekend. That is what winning the Super 16 Tournament, which took place Saturday at Yonkers High School… Please login below or purchase a subscription to the Putnam County Courier to access this content. Carmel’s Jeff Scott placed first overall against Greeley and Brewster at Thunder Ridge last week. Right: Carmel’s Casey Ryder took second overall last week. 11)( WREST LINGB. 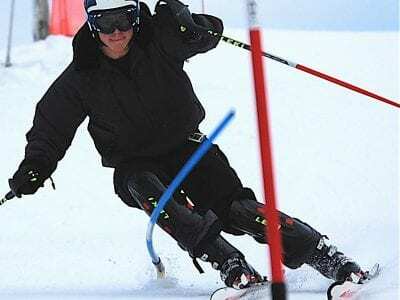 CARMEL—The Carmel High girls ski team defeated Brewster a… Please login below or purchase a subscription to the Putnam County Courier to access this content. Nick Rosalino of Carmel won a title at 103 pounds at the Super 16. CARMEL—With a pair of weightclass champions and eight other Rams placing, the Carmel High wrestling team pinned down a second-place finish at the Super 16 Tournament Saturday at… Please login below or purchase a subscription to the Putnam County Courier to access this content. PUTNAM VALLEY—The Putnam Valley high girls basketball team suffered two crushing losses in recent action, they lost a league game to Ossining 79-40 on Monday and Friday Byram Hills rolled to a 71-25 victory. Whenever Put Valley enters a leag… Please login below or purchase a subscription to the Putnam County Courier to access this content. PUTNAM VALLEY—The John F. Kennedy Catholic/Putnam Valley high ice hockey team beat Brewster, 6-4, in a league game Sunday at the Brewster Ice Arena. The win pulled JFK/PV into a twoway tie for second place in the league with Mahopac at 6-3-1… Please login below or purchase a subscription to the Putnam County Courier to access this content.